The Alaska Fishermen’s Network works to build skill and opportunity for the next generation of Alaska fishermen. We value mentorship, stewardship, education, accountability, hard work and community health. We create and promote opportunities for fishermen to understand and engage in policy and management decisions, and become leaders in diverse arenas of the fish world on and off the water. We are small business owners, crew and captains. We are community and ocean stewards. We are advocates for our livelihoods. We are the future of fishing. From financing your next vessel to finding your first fishing job, we’ve compiled a list of resources to keep you on course. From books to fellowships, AKFN projects are grounded in communities and geared toward building a better fishing future. Whether you want fishing work or need help finding crew, the AKFN Jobs Board connects crew with captains. 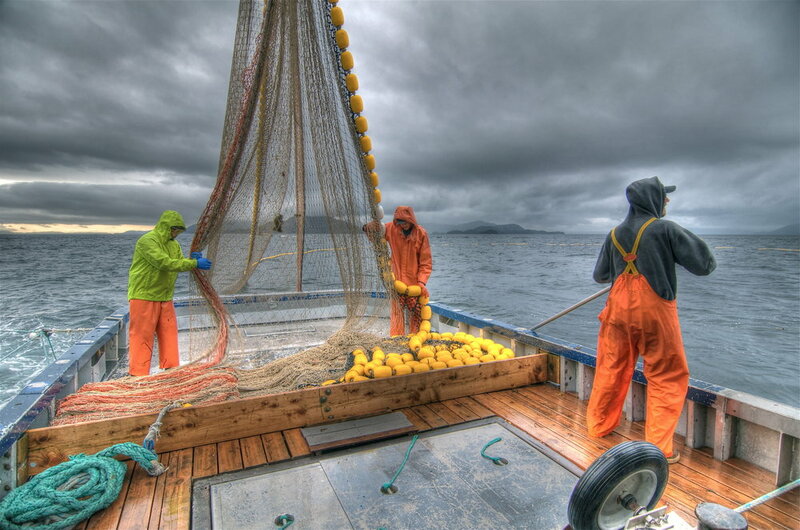 Commercial fishing has long been an iconic Alaskan profession. As a fisherman, each day on the water is different and it is absolutely a unique and special kind of work. Fishing demands a unique breed of individual – you must be resilient, optimistic, business savvy, hard-working and tenacious. I haven’t been a fisherpoet for long, but upon diving into this creative world that seems to go hand in hand with ripping fish out of the ocean to feed the world – I felt a perfect fit. Being out on the water and connecting with the salmon brings out an intense inspiration that I believe you cannot find anywhere else. AMCC is thrilled to be partnering with five incredible host organizations across coastal Alaska for our 2018-2019 Fishing Fellows Program! Sales of the Alaska Young Fishermen's Almanac have exceeded expectations!